A story that would stretch credulity if it hadn’t really happened, Rick Wershe’s involvement with the FBI and his subsequent life of crime should be a movie slam dunk, the equivalent of a football striker faced with an open goal (to mix sports metaphors). 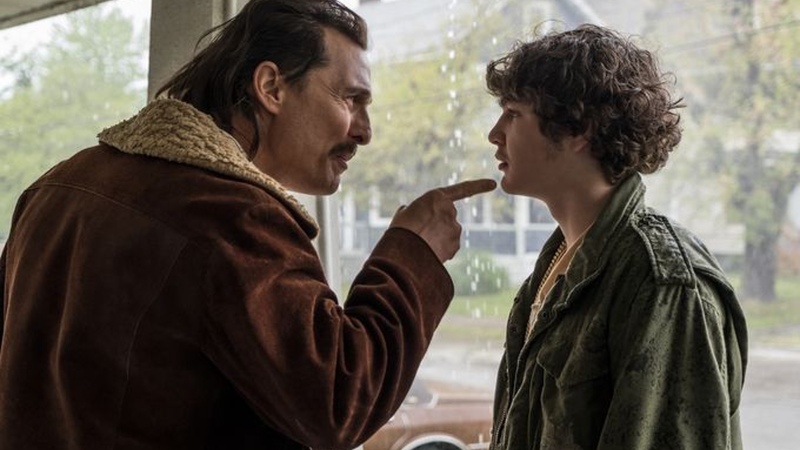 And while White Boy Rick benefits from two detailed and persuasive performances from McConaughey and Merritt (making his movie debut), the screenplay by Andy Weiss and Logan and Noah Miller lacks cohesion and a clear through line – though it does try its best. Rick’s story has to vie with several others, and it’s this approach that stops the movie from being as compelling as it should be. Alongside Rick’s fall from grace, the narrative momentum stops from time to time to catch up with Dawn’s on-going drug addiction and Rick’s efforts to help her (the script never quite grasps the irony of a drug dealer trying to get someone off of drugs), and Rick’s continuing liking for Lil Man’s wife, Cathy (Paige), whom he gets into bed with in more ways than one. 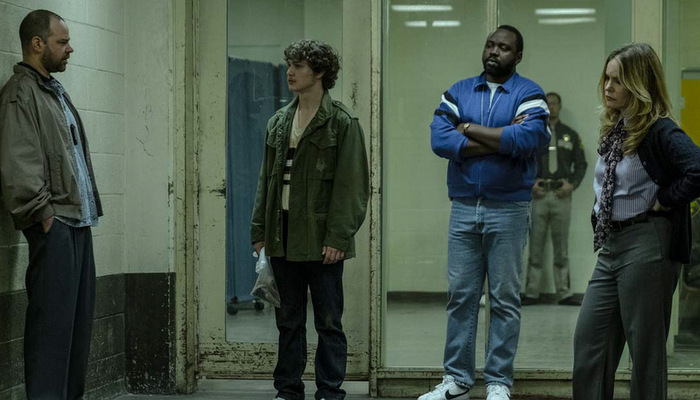 These and other secondary storylines hamper the flow of the movie, and with its jumping from year to successive year between 1984 and 1987, the episodic nature of the material means that the cast have to work extra hard to keep it all afloat. 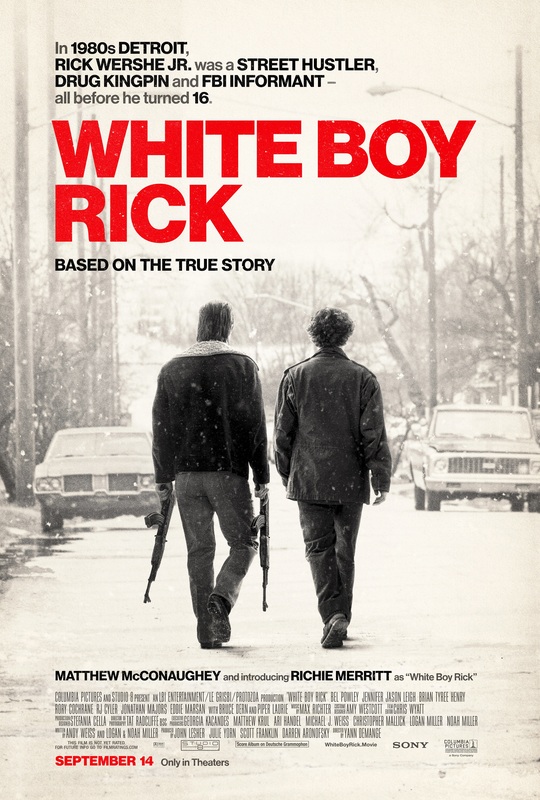 Rating: 6/10 – good performances all round and solid direction from Demange aren’t enough to stop the viewer from realising that White Boy Rick is not exactly involving, and that even though the majority of it is true, it’s not always as interesting as its screenplay tries to make out; with a smattering of laughs, and moments of sudden violence to leaven the evenness of the material, this is a movie that tries hard in some places, unconvincingly in others, and which often feels the strain of the effort it’s making.